Social Anxiety is a disorder characterized by a persistent fear of social situations, resulting in distress or interference with daily life functioning. The person affected with social anxiety would’ve realized that their fear is irrational, but cannot avoid it. Some common fears that people with social anxiety experience are: eating/drinking in the presence of strangers, public speaking, using public toilets and writing in public. Sometimes you might experience these things even if you don’t have social anxiety: what determines whether you have social anxiety is severity, duration, whether it causes interference/distress and how you respond to it. They have a fear that they seem anxious to other people. They’ll start to believe that other people can see their anxiety and this results in anxiety symptoms (number 2) and greater fear that they seem anxious to other people (number 1). When the person becomes alarmed that they aren’t making the impression they want on other people, they will shift their attention from their surroundings onto themselves, resulting in excessive monitoring and judgement of their own actions. This is a huge issue, because, just compare how you are when you are alone (like right now if you’re alone on your computer reading this) compared to in a public environment.Your attention is rarely on yourself if you are alone, because you don’t have to worry what other people think. This is how YOU are naturally and you want to emulate this in a public environment. Next time, try to minimize the attention to yourself in a public environment and start realizing when you are focusing too much on yourself. Your social anxiety won’t disappear overnight, and at first, this attention shifting will be a conscious action, but over time, it will become natural and you won’t be focusing on yourself too much. When the person starts focusing on themselves, not only are they judging their actions, but they have a negative, distorted view of themselves. There are dozens of cognitive biases, so I will probably cover this in a different post, explaining each one. 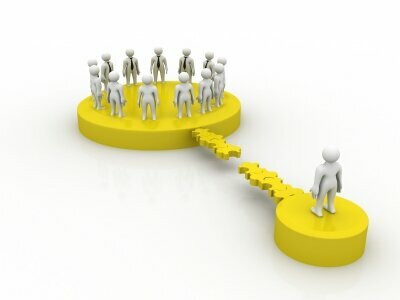 Safety behaviours are things which people do to make them feel more at ease with a situation. 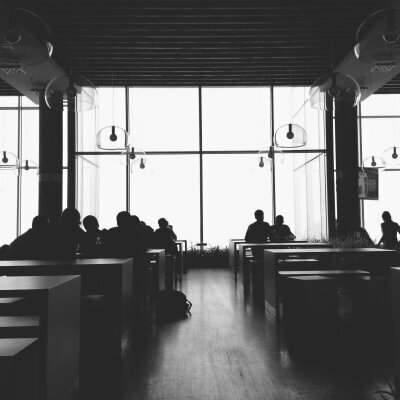 Some examples are: sitting at the back of class so you aren’t noticed, avoiding eye contact during a conversation, mumbling during a conversation or rehearsing what you are going to say next during a conversation. Safety behaviours make the anxiety persistent, because, even though you are being exposed to the situation more (which would naturally result in less fear over time), by doing these safety behaviours, you are telling your mind that the situation is dangerous and you need to do these behaviours to protect yourself. It’s important to start recognizing these safety behaviours and gradually diminish them over time. 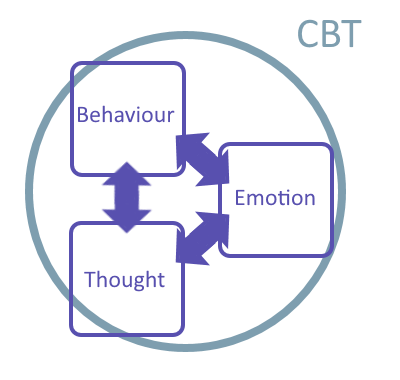 CBT, also known as Cognitive-Behavioural Therapy is a method used by psychologists to treat a variety of disorders ranging from anxiety to depression to even schizophrenia. As time passes, there is more and more evidence to suggest that CBT is the best way to treat anxiety disorders and some studies even suggest that CBT is the only effective method in eliminating anxiety disorders for the long term. Here, I’m going to show you how to do a very basic CBT technique which relies on the ABC model by Albert Ellis. Here’s an example of how this applies to social anxiety. A: Your friend has agreed to meet up with you over the weekend and he arrives 15 minutes late. B: You believe that he arrived late, because you aren’t important enough so he didn’t put effort in making it on time. C: You feel sad and spend the rest of the day being distant from your friend. B: You believe that he arrived late, because he’s lazy and woke up late. C: You ask him why he’s late, he tells you that he got stuck in traffic and apologizes. You have a good time together that day. C: You feel uncomfortable and start acting nervous around them, mumbling and not knowing what to say. What are your beliefs that are causing you to feel this way? Everyone will have different reasons, but I will fill it in with the most common reason. B: He/she probably thinks negatively of me, or he/she probably thinks I’m pathetic. Now whether this is true or false (most of the time it is false), it is not a reason for you to be afraid. Sure even if they think negatively of you, it’s not going to cause you any harm and the only thing that you can do about it is find out the cause of why they think negatively of you and fix it for next time. Maybe you did something really stupid like put your shirt on the wrong way? Even then, most people aren’t going to hate you or think too negatively about you for that reason. If I met someone who wore their shirt the wrong way, I’d just think that they were late and had to rush to somewhere in the morning and made a mistake. Whatever the reason is, all you have to do is fix it for next time and there won’t be a reason for them to think negatively about you. Start doing the things mentioned in this post, and you’ll find yourself less scared of social situations over time. Don’t expect it to happen overnight, everything takes time. At first, you may find that your emotions are too strong, but over time, you’ll be more and more used to rational thinking, and youwon’t have negatively distorted beliefs to affect you anymore. Previous Post5 False Beliefs About Dancing In A Club Which May Keep You From Having Fun On The Dance FloorNext PostDon’t Screw Up that First Message: 5 Tips To Make Sure You Get A Date!